RESERVATIONS ARE FULL. SELECT “NOTIFY ME” IN RESY TO SIGN UP FOR THE WAITLIST! 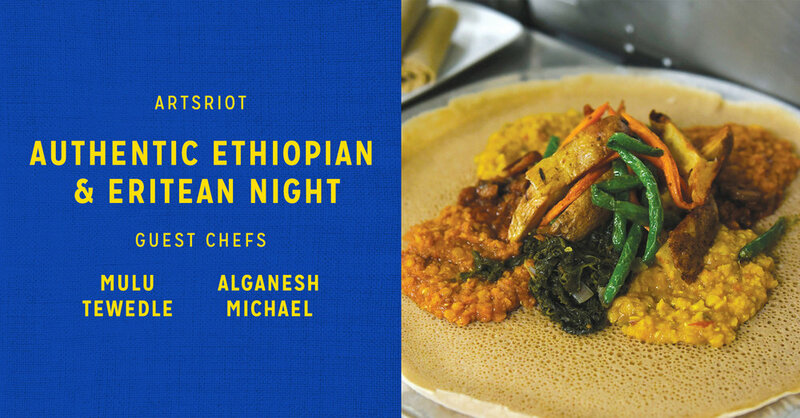 Join us at ArtsRiot for Authentic Ethiopian & Eritrean Night! 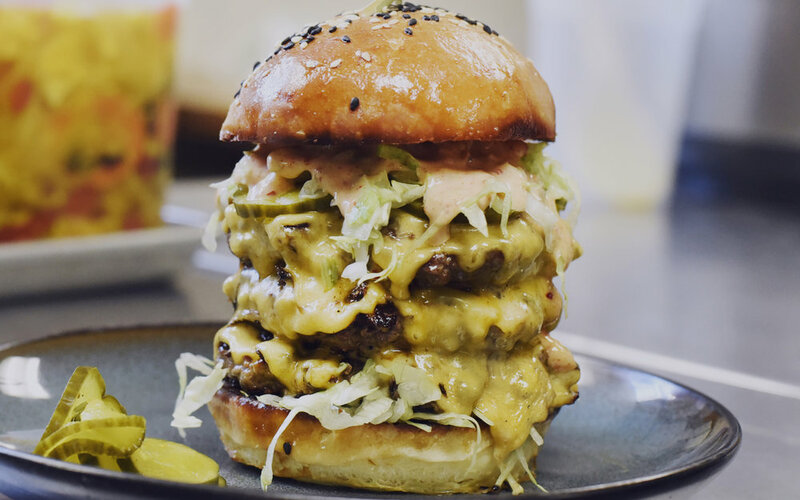 This is a special event that only happens on select Sundays. 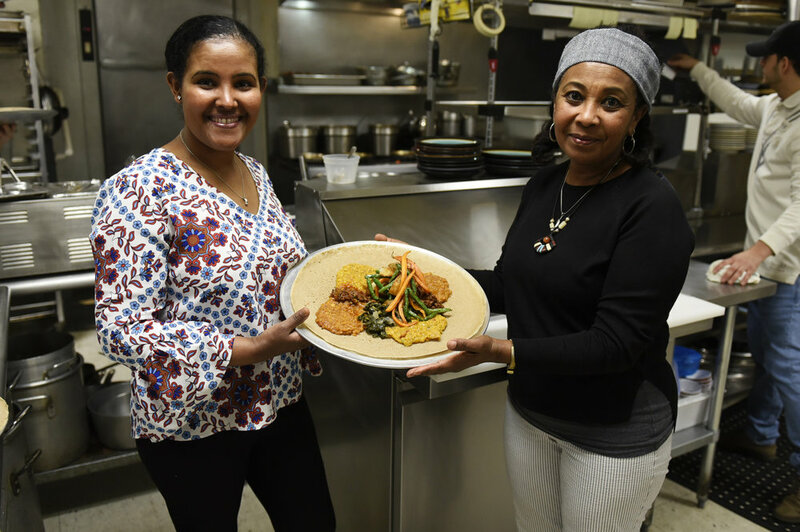 The entire meal is prepared by Alganesh Michael and Mulu Tewedle in the ArtsRiot kitchen.